This comes as the Queen’s Award for Enterprise winning company recorded turnover topping £36 million. In its latest financial period, the Cumbernauld-based business, with over 250 employee, has increased EBITDA by 34.64% from just over £3m in 2016 to almost £4.1m. David Ritchie, Chief Executive Officer, believes these latest statistics show the business is in very good health. “On the back of an excellent year in 2016/17, the business has gone from strength to strength, delivering another fantastic set of results for this latest period which show the business meeting all our strategic and financial targets,” he commented. “And the future is looking extremely positive too, with a record order book valued at £65m over the next three years providing job security and excellent opportunities for our local and national supply chain partners. “This includes our largest ever single contract valued at £10m to manufacture and supply windows, doors and curtain walling for the prestigious Atlantic Square development in Glasgow. “With a solid operating platform already in place, we have invested heavily during the last year in our PVC factory capabilities at our Castlecary base near Cumbernauld, to enhance production capacity in preparation for the next phase of planned growth. 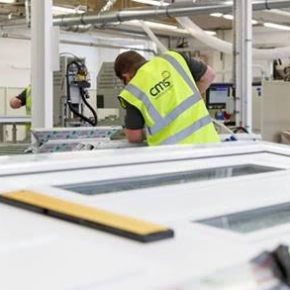 Operating from its 15-acre main manufacturing and recycling facility and HQ at Castlecary near Cumbernauld, together with its new door manufacturing and recycling plant in Kirkcaldy, CMS continues to be one of Scotland’s quickest growing manufacturing businesses. 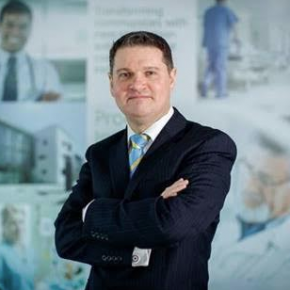 The company has been backed by mid-market private equity investor LDC since May 2016, when it secured a significant minority investment to further support the business’ expansion across Scotland and England.